The Rovira i Virgili University is announcing a competitive call for grants to study on a university master’s degree programme during the academic year 2011–2012. These grants are aimed at new international students. international students who fulfil the entry requirements of the URV university master’s degrees. In the present call 2011-2012, all the university master’s degrees will have at least one student awarded with a grant. Those interuniversity master’s degrees whose registration procedure is not organized by the URV are expressly excluded. The number of grants awarded can be increased by means of any extra resources proposed by the organs responsible for organizing the master’s degree, as long as they use the specific application form. The grants consist of the whole amount of the registration of the first academic year (60 ECTS credits, including registered and recognized, fees and insurance) and a study bursary of 4.000€. In the case of on-line masters degrees, the grant only will consist of the whole amount of the registration fees of the first academic year. In the case of masters’ degrees of 120 ECTS credits, if 60 ECTS credits of the first year are recognized due to previous formation, the grant will involve the whole amount of the second year registration (60 ECTS credits). The student should pay the fees of recognition of the first year. The Postgraduate and Doctoral School will be responsible for transferring the study bursary to the beneficiary student, by means of the Economic Resources Service. In addition, it will be responsible for paying the registration and tuition fees to the Academic Management Service, and for paying the insurance premium to the insurance company. First payment: As soon as the students will enrol the university, they will be paid an advance sum of 600€ so that they can cover the first expenses they may have. To receive this advance sum, however, they must have completed the registration procedure. Second payment: During the two following months after registration to the master, the sum of 2.000€ will be transferred directly into the current accounts of the beneficiaries. Third payment: During the last week of February 2012, the beneficiaries will be paid the outstanding sum of 1.400€. Under no circumstances will the registration or tuition fees be transferred to the students. The Postgraduate and Doctoral School will transfer this amount directly to the Academic Management Service. Likewise, the Postgraduate and Doctoral School will also pay the insurance premium for these students, which will cover the costs of health care, accidents and repatriation during the period they are beneficiaries of the grant. 1. Students must not be the beneficiaries of other incompatible grants or bursaries (see section 1.9 of the present call). Should they be awarded another grant or bursary of the same characteristics, they will have to explicitly renounce one of them and return the amount they have already received. 1. 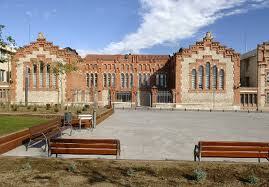 Beneficiaries must be registered for at least 60 ECTS credits of a URV university master’s degree. This figure includes the number of recognized credits. 2. Beneficiaries must have been favourably evaluated by the specially appointed Committee and their coefficient must be within the total number of grants to be awarded. 3. International students must not have Spanish residence. 4. Those beneficiaries who are registered in master’s degrees with a virtual component must spend at least two months in the URV. c. Academic transcript with the average grade of the previous academic year. The deadline for presenting applications is 30th April 2011 inclusive. Applications can be submitted by e-mail at the address [email protected]. After the deadline for presenting the applications, students will have a period of five days to amend any possible lack of documentation and, after this period, the final list of admitted and excluded applications will be published on the website at the following address: Official Website. 1. Academic transcript (maximum 5 points). 2. Curriculum Vitae (previous training, languages, temporary stays in other countries, mobility, professional experience) (maximum 3 points). 3. Undergraduate studies in another university (maximum 2 points). To guarantee efficiency, the Selection Committee of each master’s degree must meet between 10–20 May 2011. On the basis of the proposals made by the various Selection Committees, the Vice-rector for Postgraduate Studies and Lifelong Learning shall convene the Standing Recruitment Committee, which will make the definitive award of the grants and indicate the order of priority. This Committee will consist of five members, representing five different scientific areas. In the event that some awards are not assigned, the Standing Recruitment Committee can redistribute them among the other master’s degrees, with the exception of those that are funded by the organs responsible for university master’s degrees. In this case, the vacancies will be redistributed under decision of the organ responsible for the master degree. Once the process has been completed, the Vice-rector for Postgraduate Studies and Lifelong Learning will publish the definitive list of grants awarded. This list will be available at the following website: Official Website. A waiting list will also be published, consisting of those students who will only be awarded a grant if a beneficiary decides not to accept the award or is excluded for any other reason established in the present call. These documents must be presented before 30 September 2011 at the Postgraduate and Doctoral School (Crta. de Valls s/n, Edifici W1, planta baixa, 43007 Tarragona). 1. The beneficiaries of the grants described in this call cannot be the recipients of any other bursary or grant with the same characteristics or purpose, with the exception of the AGAUR or Spanish Ministry’s mobility grants, which are regarded as being a complement to a study programme designed exclusively to encourage mobility. 2. If students have been awarded any other bursary or grant of a similar kind, they must renounce their right to the award in writing and return the totality of the sum awarded. 3. Those students who have pre-registered for or been admitted on interuniversity master’s degrees, the registration procedure of which is not organized by the URV, are excluded from this call for grants. -Having registered all the credits required so that they can finish the master’s degree. In any case, students should apply for the renewal of the grant. In the case of grants with own master’s degree resources, the renewal call will be under decision of the organ responsible for the master degree. More details are available in the Official Call. Demikianlah informasi mengenai Call for Grants to Study Masters Degree at Rovira I Virgili University semoga berguna bagi anda.